Here I am again committing to this challenge of posting something new every day this month. I’ve decided that after being away for almost four months, I would take a month to post every single day. I’m so excited to post again that I have been writing up and saving up these posts just for this. I really hope that this time I will actually be able to fully commit and complete this challenge. I know that I have some important events happening during this month, but I will try my best to have posts ready from beforehand. This month i’m hoping to post more writing that I have been doing, more collections and illustrations, more art pieces and so much more! Also, if you saw above, I have this little picture above this post. This will be up on the side of my blog for the whole month of august during beda. If you are also planning to do this, you can use the photo on the side of your blog! I would absolutely love it to have you also doing this challenge. Comment down below if you are, so I can check you out! Dear Reader, enjoy the rest of beda! Hi saamstaa! Check out my latest post. I have made the commitment as well. 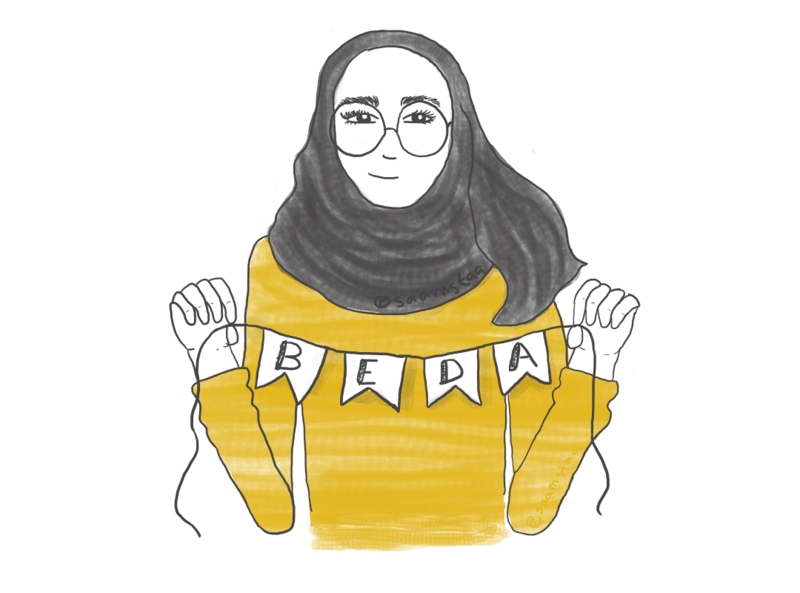 Hopefully we can cheer each other on from the side lines to meet this Beda challenge. I look forward to reading your post daily, and appreciating your work.I will be posting about my journey to simplicity and I’m also excited and looking forward to it.